A Pakistani-American Muslim girl struggles to stay true to her family’s vibrant culture while simultaneously blending in at school after tragedy strikes her community in this “compassionate, timely novel” (Booklist, starred review) from the award-winning author of It’s Ramadan, Curious George and Golden Domes and Silver Lanterns. Amina’s Voice brings to life the joys and challenges of a young Pakistani-American and highlights the many ways in which one girl’s voice can help bring a diverse community together to love and support each other. The first year of middle school is tricky. Suddenly, Amina’s best friend, Soojin, starts talking about changing her name and, even worse, spending time with Emily—a girl that used to make fun of them! Amina’s older brother seems to be getting into a lot of trouble for his grades, and now he wants to play basketball instead of studying. To make matters worse, her uncle comes to visit from Pakistan, and her parents seem to be trying awfully hard to impress him. With so many changes, it’s hard to know how to be a good friend, sister, and daughter. But when Amina’s mosque is vandalized, she learns that the things that connect us will always be stronger than the things that try to tear us apart. 1. Describe Amina’s feelings about music. What keeps Amina from telling her teacher that she would like to sing a solo? What could Amina do to overcome her fear? Have you ever been afraid to do something you wanted to do? What happened? 2. Why does Soojin consider changing her name? Why do you think Amina is uncomfortable with the idea of Soojin changing her name? Have you ever wanted to change your own name? 3. Why do you think Emily decides to stop being friends with Julie and to start being friends with Soojin and Amina? Why doesn’t Amina trust her at first? How would you react if someone who had been mean to you in the past tried to become your friend? 4. What causes tension between Amina’s parents and her brother? How do they resolve their differences? Have you ever wanted to do something your parents did not want you to do? Have your parents ever required you to do something you did not want to do? How did you handle the situation? 5. How is Thaya Jaan related to Amina? How can you tell that Amina’s parents respect Thaya Jaan? What do they agree about? What do they disagree about? 6. Why is Amina initially unhappy with the group she is assigned to work with on her class Oregon Trail project? What is the best thing about working with a group? What is the hardest thing about working with a group? What does Amina learn from working with Bradley, Soojin, and Emily? 7. Describe what happens at Amina’s Sunday School. Do you attend any religious services or classes? If so, how is Amina’s experience similar to yours? How is it different? 8. Both Amina and Soojin have been teased because of the food they bring to school or the way their food smells. Why do you think people tease or bully kids who are different? If you were in Amina’s or Soojin’s position, how would you respond? If you encounter someone from a different cultural background, how should you respond to them? 9. Discuss the role that forgiveness plays in the novel. Who does Amina need to forgive? Who does she need to ask for forgiveness? Do you think it is more difficult to ask for forgiveness or to forgive someone else? 10. How does jealousy threaten Soojin and Amina’s friendship? What does Amina learn about Soojin, Emily, and herself as a result? Do you think Soojin is a good friend to Amina? Is Amina a good friend to Soojin? 11. In the novel, Amina is trusted with secrets. Do you think she’s right to keep Mustafa’s secret? Should she have kept Emily’s secret? Why is it sometimes hard to keep secrets? Are there ever secrets that you should not keep? 12. Amina’s parents and Thaya Jaan disagree about whether or not music is forbidden. In every family, people disagree about the way to raise children and about what types of behavior should be allowed. How does Amina navigate the conflicting viewpoints in her own family? Have you ever had to navigate a similar situation? If so, how did you handle it? 13. What is backbiting? Why does Amina feel guilty of backbiting? In your opinion, did she backbite Emily? Explain your answer. 14. Amina’s parents are concerned that Thaya Jaan will not be happy when he visits because, as they say, “You know there’s some bad feeling in this country toward Muslims, and all this negative talk in the news these days.” When Thaya Jaan is in America, what evidence of bad feelings toward Muslims does he witness? What good things about America and acts of kindness does he witness? What does he conclude about life in America? 15. What is vandalism? How did the description of the vandalism of Amina’s mosque make you feel? How do you think you would feel if your school or place of worship was vandalized? Explain how this act of violence ends up bringing Amina’s community together. 16. The novel ends with a message of change. In literature, characters that change are called dynamic characters. Almost all the characters in Amina’s Voice are dynamic characters. Explain how each character changes. 1. The characters in Amina’s Voice have different cultural backgrounds. Amina’s family is from Pakistan, Soojin’s family is Korean, and Emily’s grandmother was Polish. Research the cultural background of a character in the novel or research your own family’s cultural heritage and participate in a multicultural celebration where you present your research to your class. 2. Amina’s Voice includes vocabulary and references to Islamic and Pakistani culture. Choose an unfamiliar vocabulary word and research what it means. Working with your classmates, create a word wall for the book. 3. Food plays an important role in both Soojin’s and Amina’s families. Research the food of Pakistan or Korea and try cooking a traditional dish at home or eating in a Korean, Indian, or Pakistani restaurant to sample one of the foods that Khan writes about (ex. kimchee, masala chai, naan, gulab jamun, or bulgogi). Write a food review of the dish or dishes you sampled, including a recipe so that your classmates can try the food at home if they wish. 4. One of the conflicts that Soojin must resolve is the question of whether or not to change her name. Ask your parents the story behind your own name. How did they select it? What does your name mean? 5. After Amina’s mosque is vandalized, Soojin’s church volunteers to host the Islamic Center’s carnival and Quran competition. What common values bring these communities together? Why is it important for people of different faiths and cultural backgrounds to be kind to one another and work together? 6. Amina is given a class project to compete with her classmates in a game called The Oregon Trail. What was the Oregon Trail? With a group of classmates, play this game and see how you do as settlers. The original version of the game is available for free online, but it has also been reimagined as both an app and a card game. What did playing this game teach you about working together? 7. In Sunday school, Amina hears the story of Prophet Yusuf and his jealous brothers. How is this story similar to the story of Joseph and the coat of many colors? Examine another story, such as the story of the great flood or a folktale like Cinderella or Beauty and the Beast that has different versions in different cultures. 8. Amina chooses the classic Sam Cooke song “A Change Is Gonna Come” to sing at the concert. Look up the lyrics and research the history of the song. What inspired Cooke to write the song? Why do you think the song became known as an anthem of the civil rights movement? Why do you think Amina relates to this particular song? 9. Throughout the book, the author uses figurative language to describe Amina’s feelings. For example, Amina describes jealousy as “a fresh shock . . . that courses through my veins like I had stuck my pen in an electrical socket.” Using Amina’s descriptions as a model, write a list of similes that describe the way different emotions feel. 10. Soojin and her family are very excited about becoming American citizens. Research the pathway to American citizenship. How difficult is it to become a United States citizen? What happens at a naturalization ceremony? If you have a family member that has gone through the naturalization process, ask them what it was like. Did they do anything special to celebrate the ceremony? 11. After the mosque is vandalized, Imam Malik says, “Muslims have far more friends than enemies in this country. Some people don’t understand Islam or are misled and fear us. But I’m getting so many calls of support from our friends and neighbors in the community.” One quality that makes America special is the fact that we are welcoming of different cultures. What steps can your class or community take to support and be kind to one another and to people from different cultural backgrounds? 12. Imagine this book as the first part of a series. What do you think is next for Amina, Soojin, Emily, and Mustafa? Create a book jacket for an imagined sequel to Amina’s Voice. Include a brief synopsis of your imagined sequel. *"Amina's middle school woes and the universal themes running through the book transcend culture, race, and religion. A perfect first book for this new Muslim imprint." *"A universal story of self-acceptance and the acceptance of others. A welcome addition to any middle grade collection." "Watching Amina literally and figuratively find her voice—bolstered by community, friendship, and discovered inner strength—makes for rewarding reading." *"Written as beautifully as Amina’s voice surely is, this compassionate, timely novel is highly recommended for all libraries." "[A] relatable portrayal of a tween who wants to fit in, and who’s devoted to her faith even amid her confusion about her family’s varied approaches to it." "This gentle example of multicultural domestic realism hits all of the right notes...a comforting counternarrative to what young readers may see on the news." 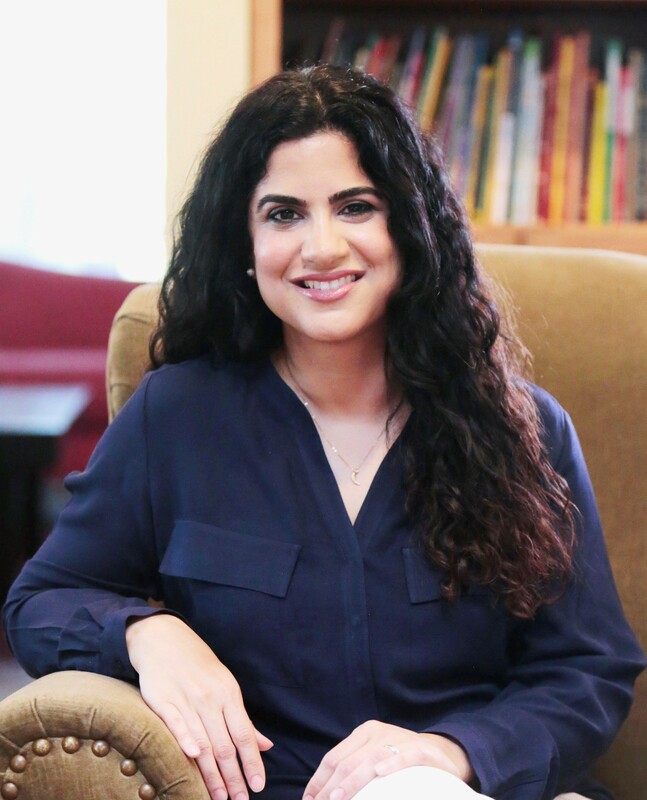 "Realistic fiction centered on a Pakistani-American Muslim girl is a refreshing change in the middle grade market.....It’s solid storyline and the common denominator of middle school drama highlights the fact that students from all backgrounds may be more alike than they realize. Recommended." 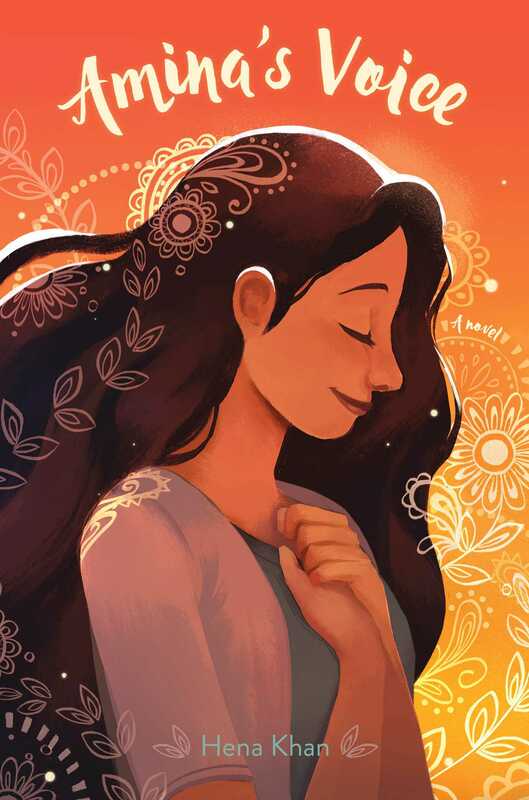 "Hena Khan (It's Ramadan, Curious George) writes a gentle coming-of-age story universal in theme and original in context, and appealing to any reader who has just wanted to slow the world down." "For inspiring empathy in young readers, you can’t get better than this book."